Our modern, farm vet facilities in Launceston are designed specifically to treat farm animals. The facilities include purpose-built calf pens, lambing bays and an in-house laboratory for analysing samples for disease and infection. We can also fulfil veterinary prescriptions from our dedicated dispensary. We have a dedicated farm animal reception team. Between them they man the reception desk, answer the phones, take orders for medicines and book visits for the vets. 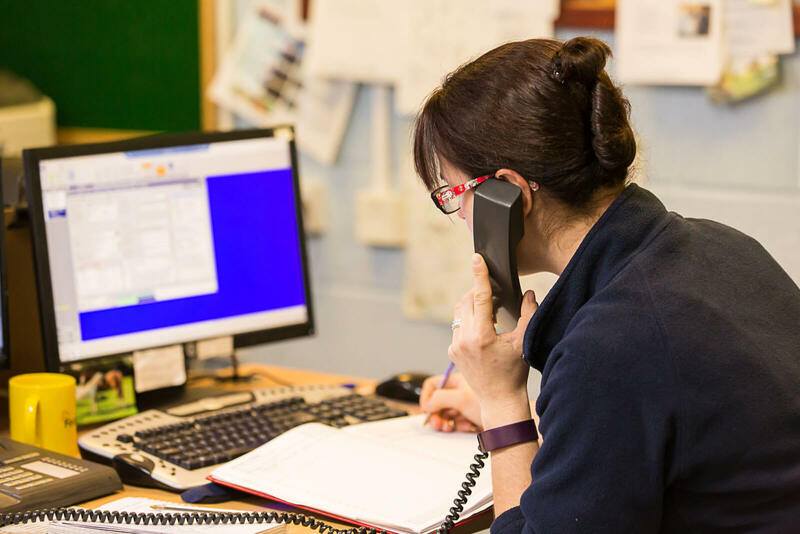 If you would like to book a visit or just speak to a vet for advice please call our reception team on 01566 772371 and they will be pleased to help you. We have always carried out a wide range of lab work in-house because we believe that a quick result is essential for treatment decisions. We will send samples to external labs where appropriate. We can test calf scour samples for disease-causing pathogens. We test dung samples for worm and fluke eggs and coccidiosis. We can use this information to plan parasite control programmes specific to your farm. All down cows are blood sampled on examination so we can check calcium, magnesium and phosphorus status if the cow is not up in 4 hours. We will examine skin scrapings from sheep to check for lice or sheep scab. 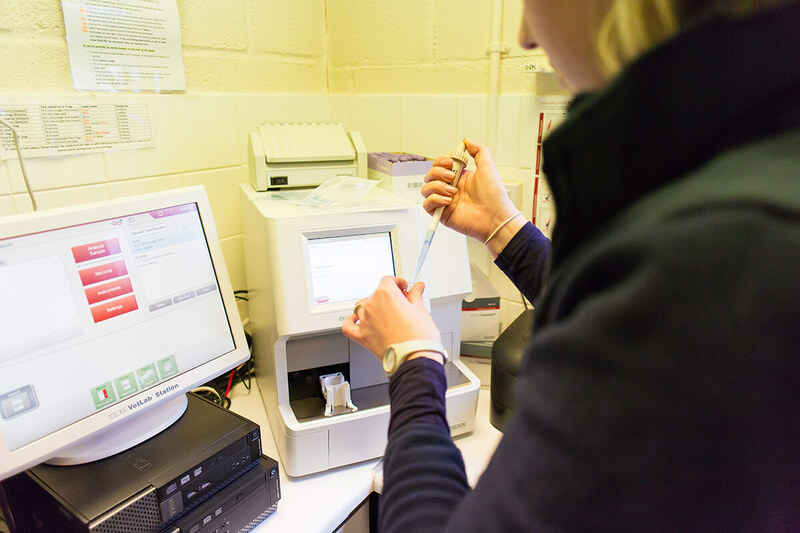 We send milk samples to an external lab for culture and testing for antibiotic sensitivity so that mastitis and cell count investigations can be planned effectively. We have lambing bays at both our Pennygillam and Liskeard branches but we always ask you to phone ahead so we know you are on the way and have a vet ready to meet you. We can also carry out caesarean sections if required and administer oxygen to weak lambs. We have two purpose built calf pens at our Pennygillam surgery which allow us to hospitalise small farm animals for intensive treatment. We can hospitalise scouring calves for intravenous fluid therapy. The pens can also be used for sheep, calves and goats recovering from surgery, e.g. disbudding or hernia repairs. In an emergency please contact Castle Vets on our usual number and you will be directed to our out of hours care.